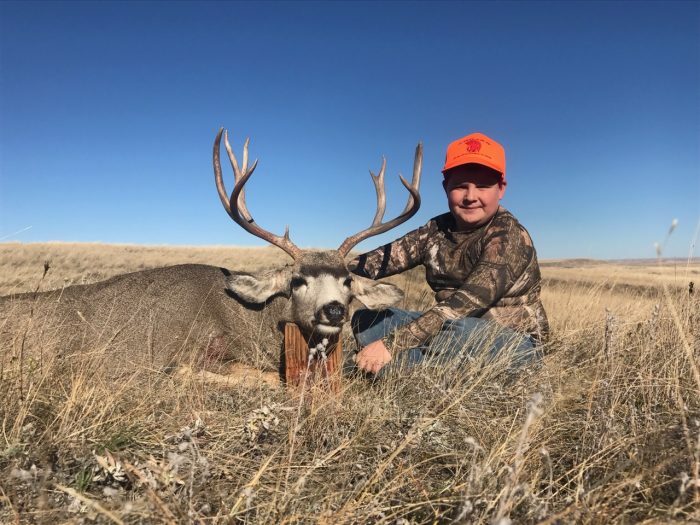 Trace Bain, 11 years-old from Glendive, got his first buck yesterday! Trace and his mentor, Brett, put on a nice, long stalk to get within 185 yards of this nice buck and then was true with his first shot . Check out that smile… we’re thinking it will be there for a while!